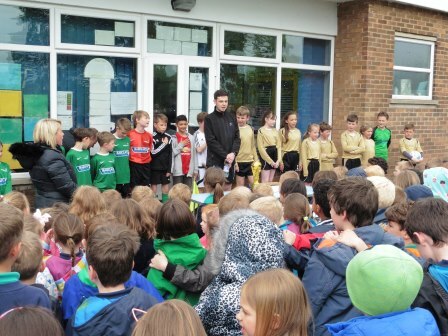 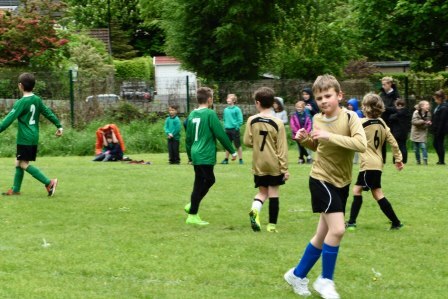 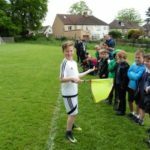 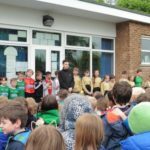 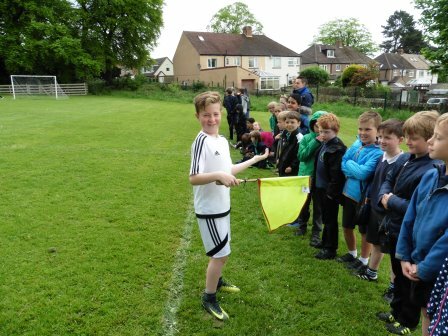 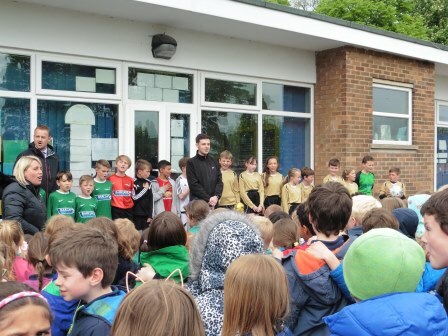 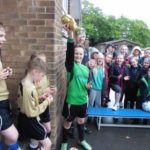 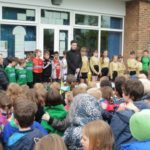 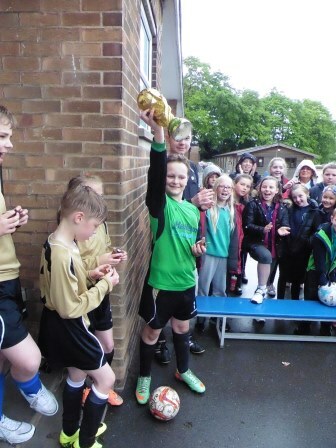 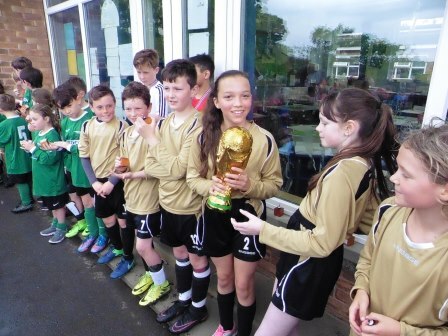 Following a grey and rainy morning, the skies cleared for our annual finale to the football season in school – the Stewart Cup Final! 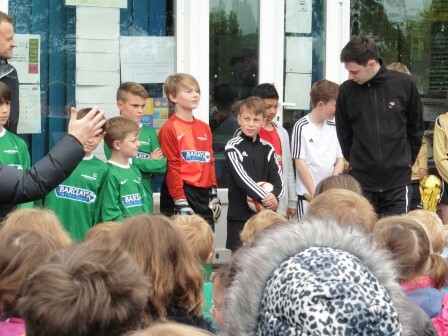 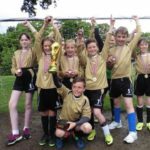 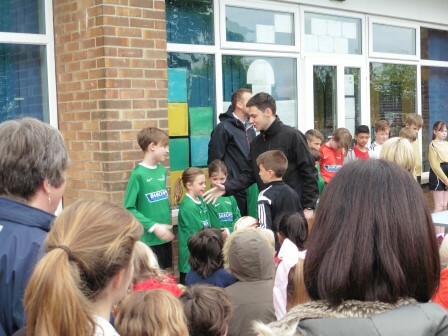 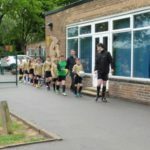 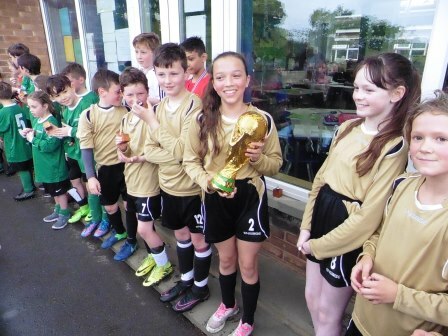 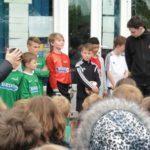 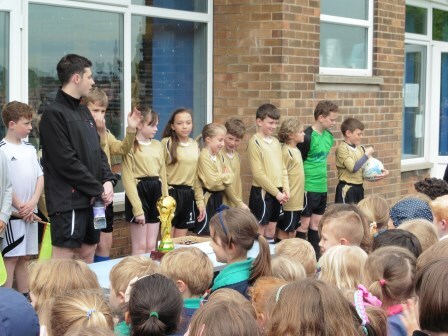 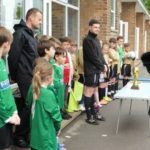 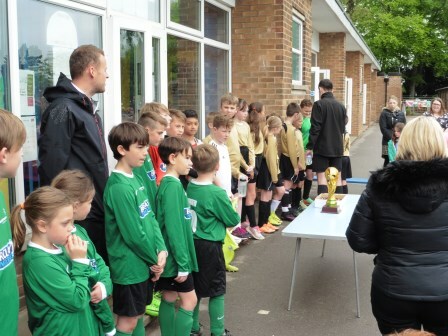 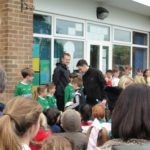 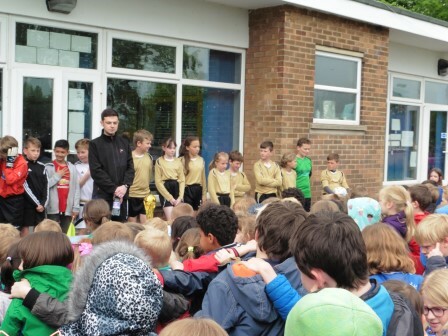 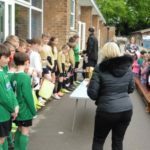 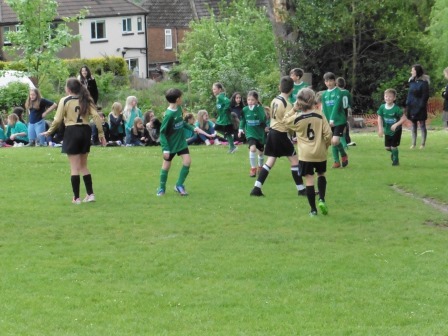 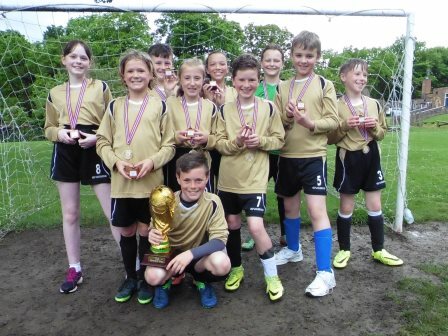 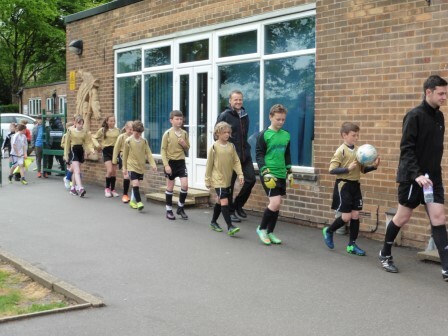 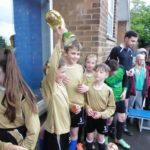 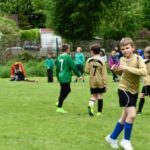 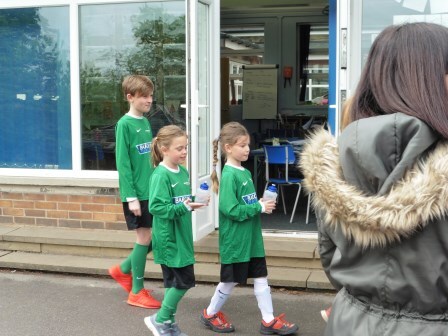 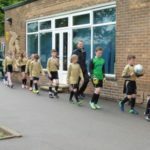 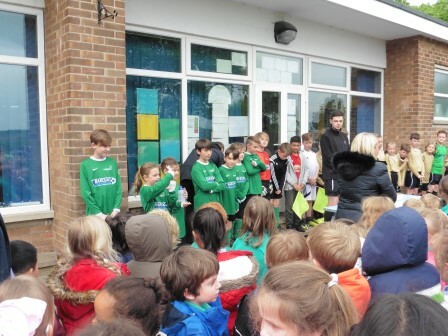 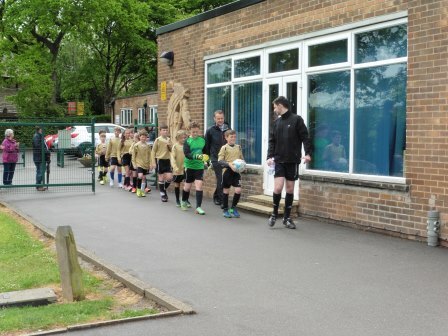 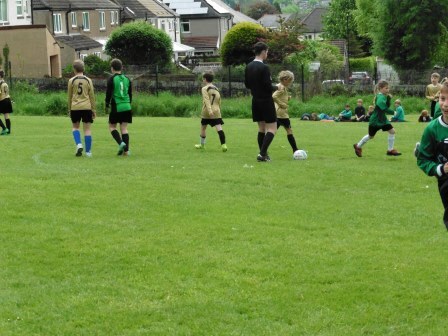 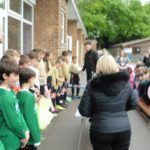 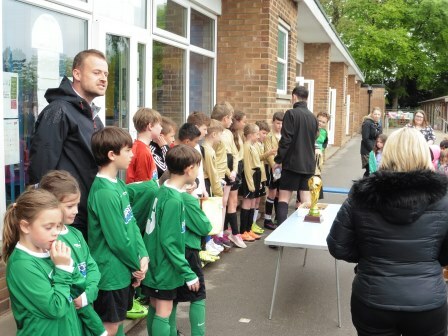 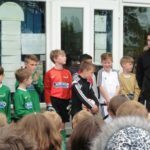 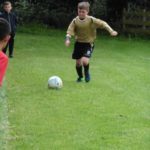 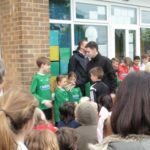 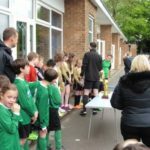 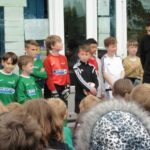 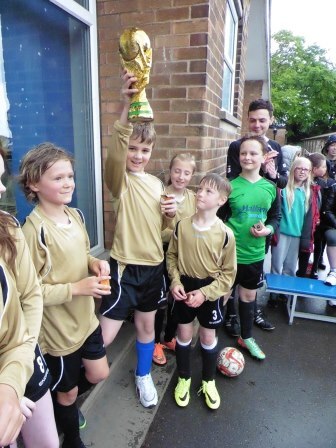 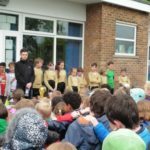 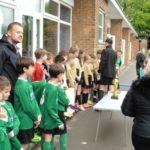 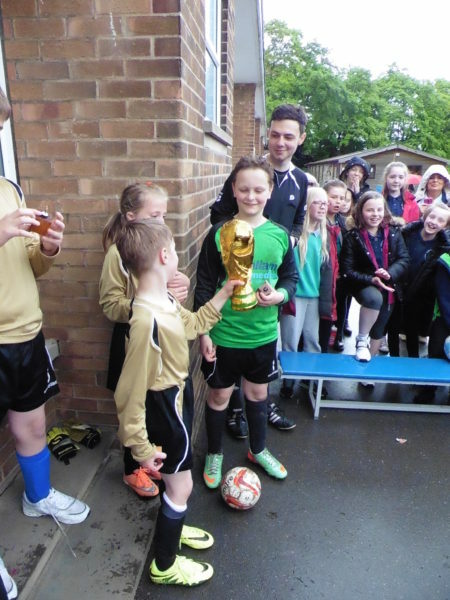 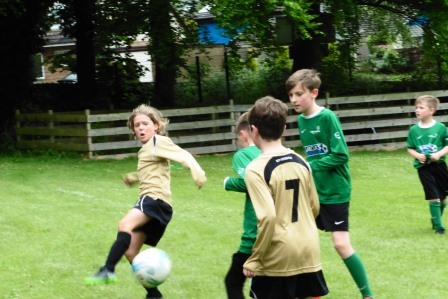 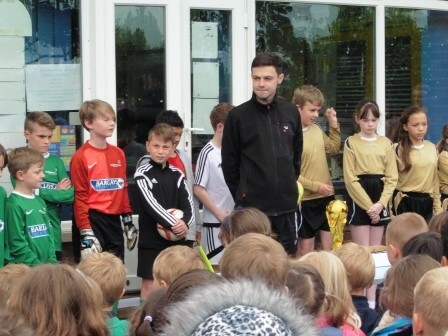 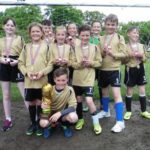 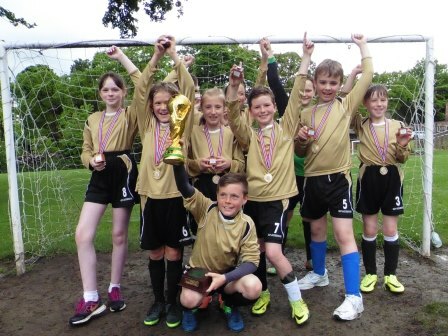 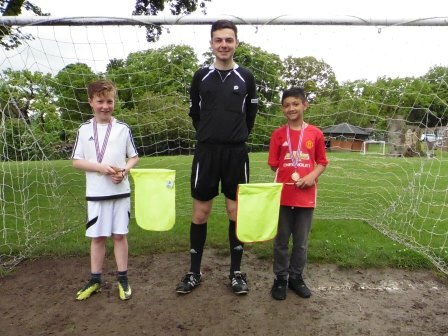 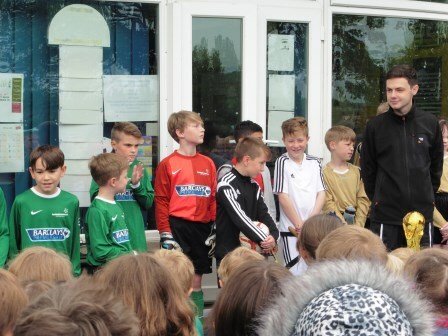 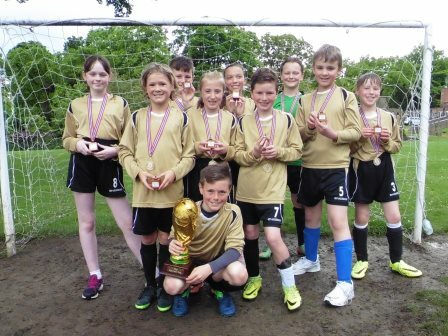 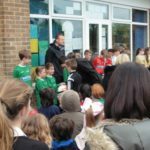 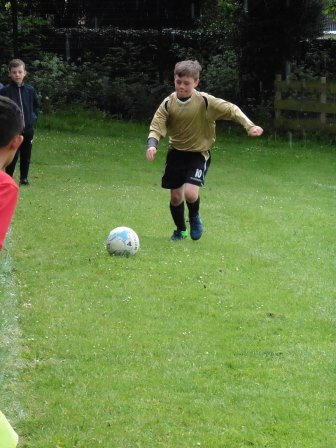 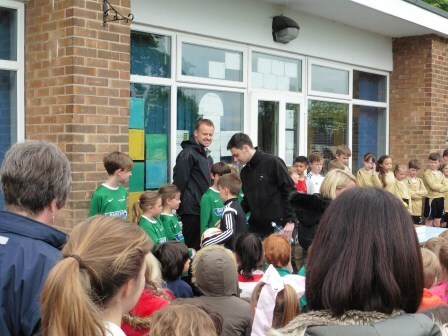 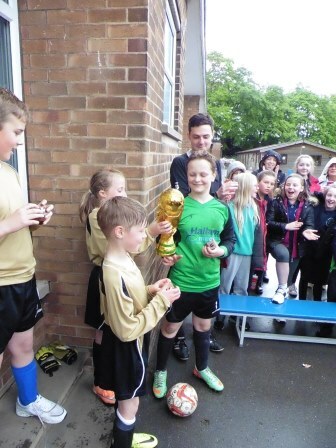 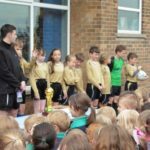 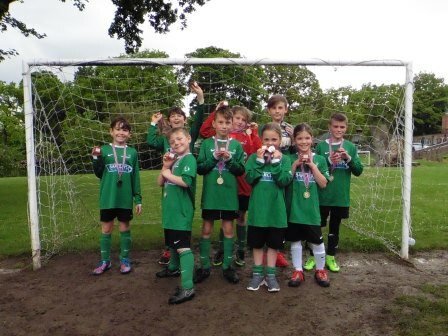 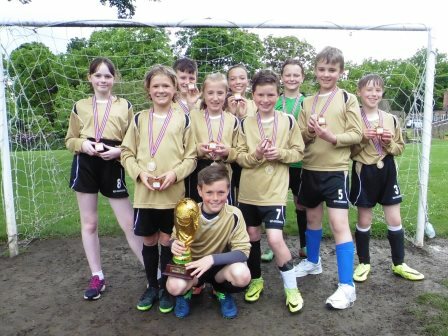 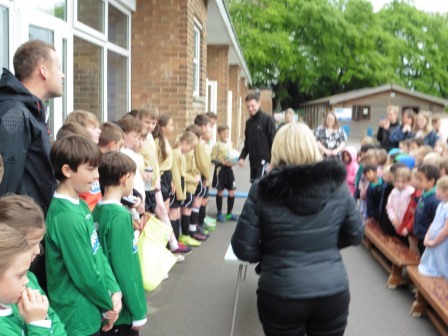 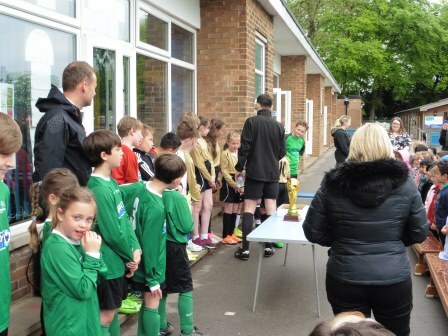 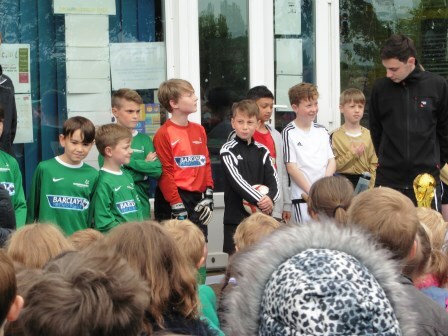 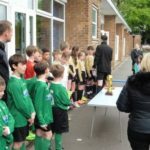 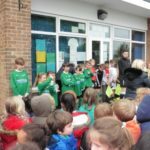 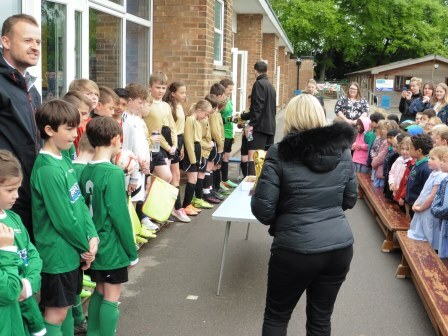 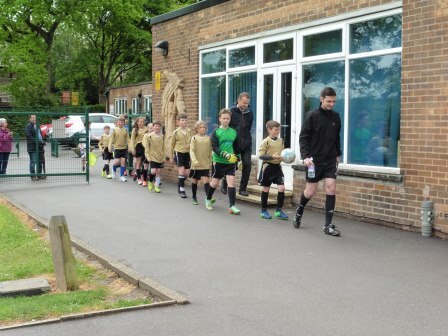 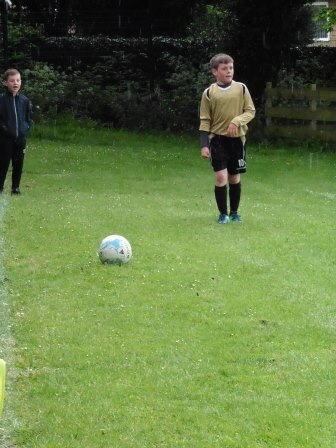 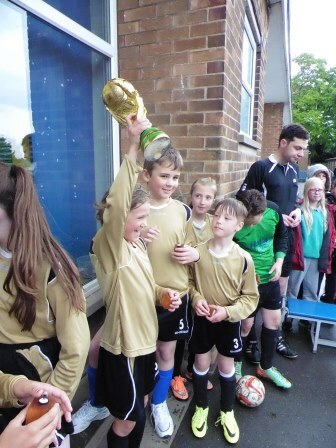 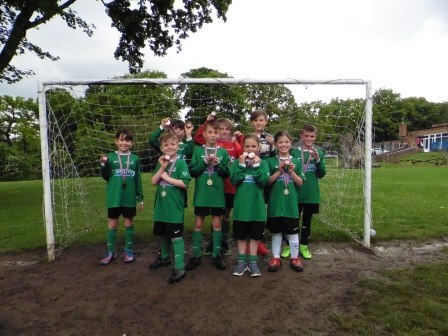 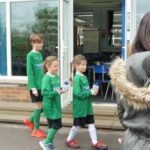 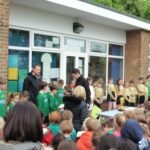 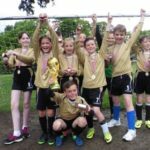 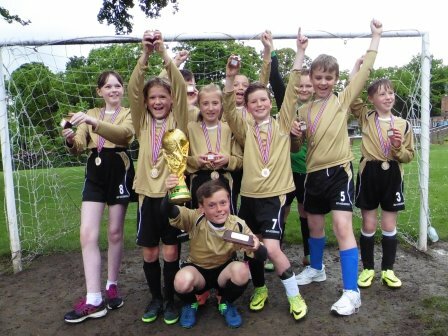 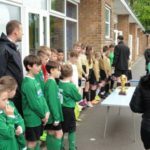 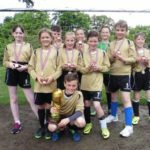 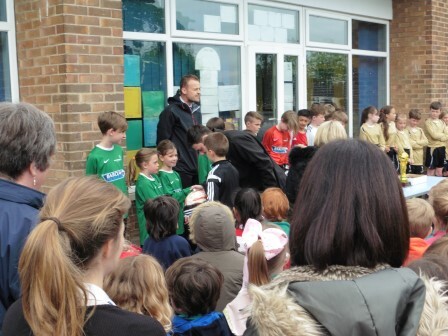 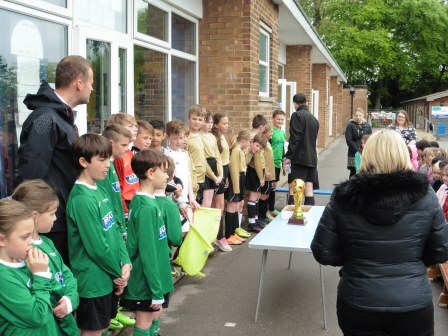 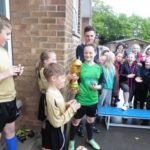 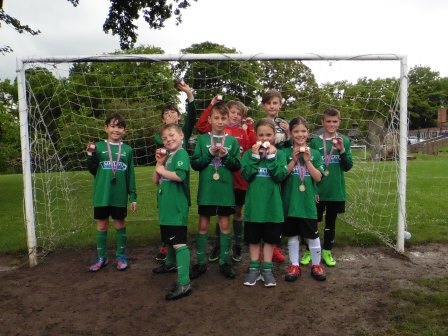 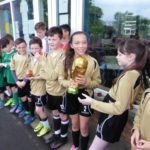 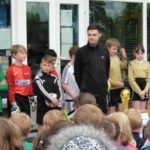 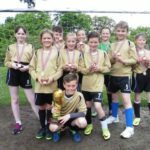 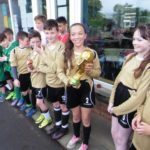 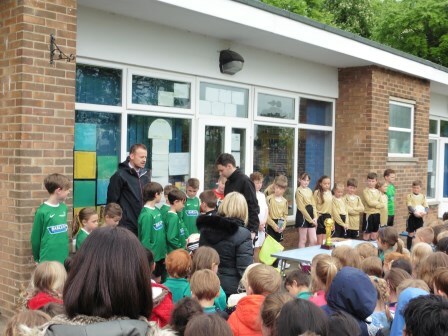 This season has been a cracker, with 60 boys and girls from Y3 – Y6 having taken part in regular lunchtime league games since September. 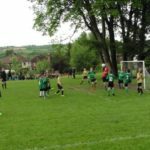 Sunnyvale City and Green Oak Rovers finished top of the pile this time, with only 1 point separating them in the table. 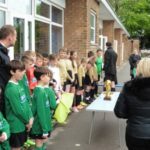 In keeping with Totley tradition, both teams paraded out to applause from the crowd and the National Anthem was sung with great passion. 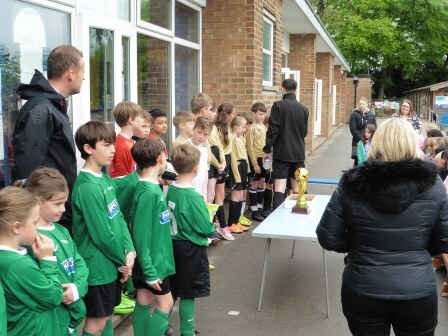 The scene was set for a thrilling encounter…we were not disappointed! 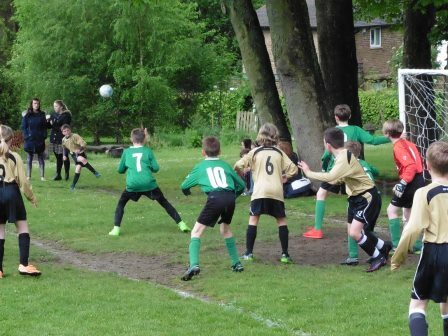 Right from the kick off, both teams had plenty of chances, with the ball being moved about quickly on the greasy surface. 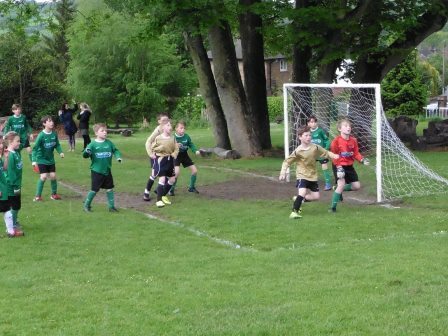 Sunnyvale had the better of the early chances, with only some heroic goalkeeping from James plus the intervention of the post and crossbar denying them a halftime lead. 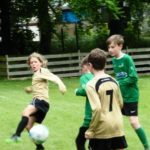 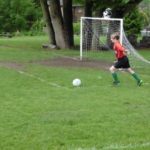 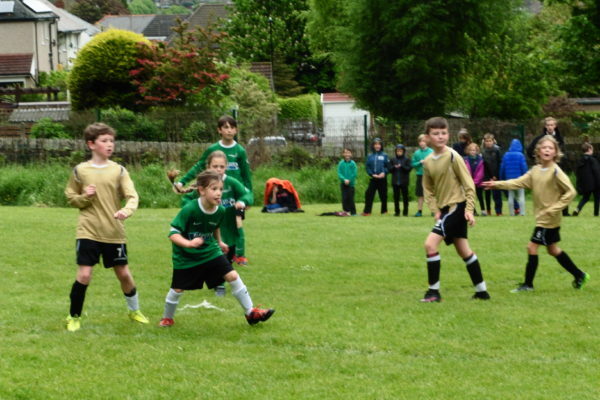 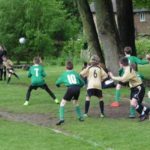 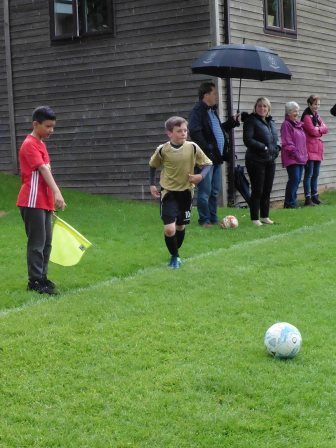 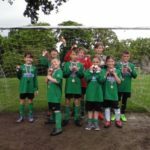 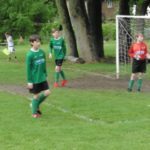 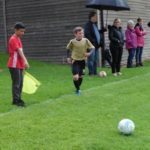 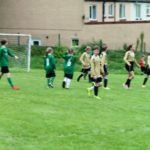 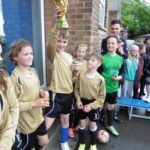 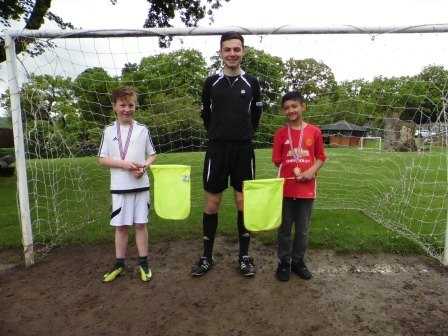 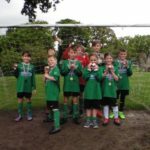 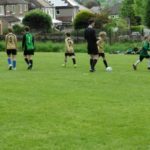 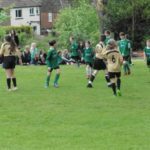 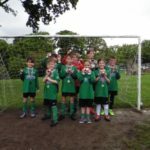 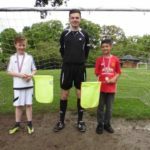 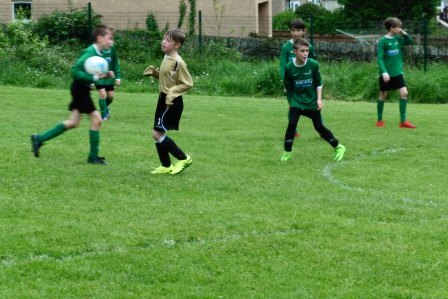 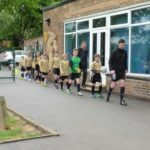 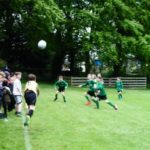 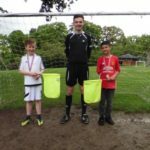 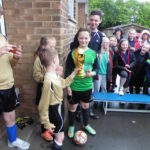 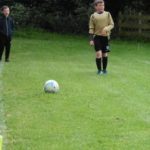 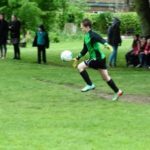 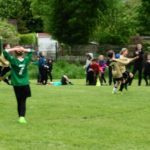 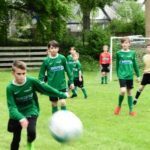 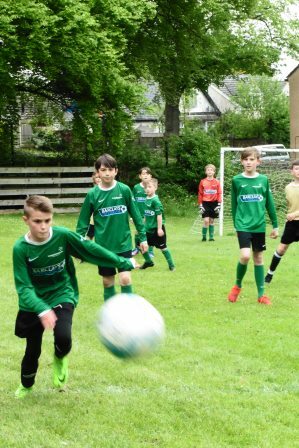 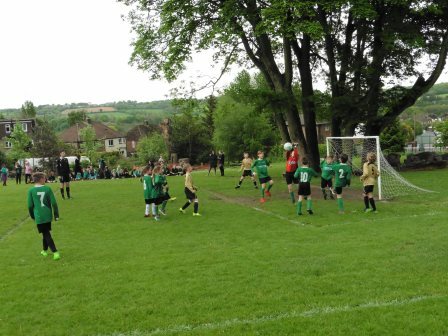 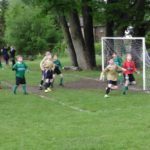 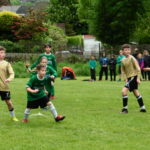 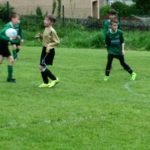 Green Oak kept their heads and fought back at the start of the second half, before a spell of sustained pressure once again from Sunnyvale led to the game’s only goal – a great header by Gabe. 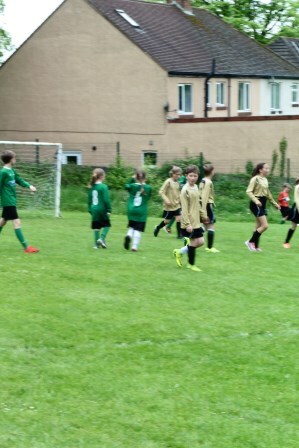 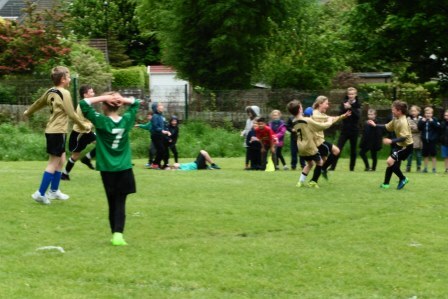 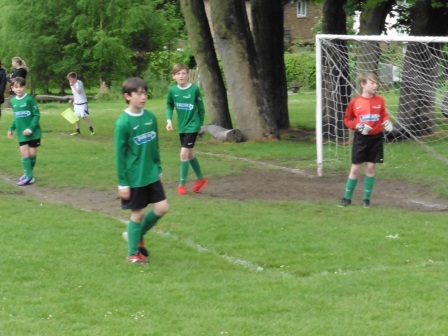 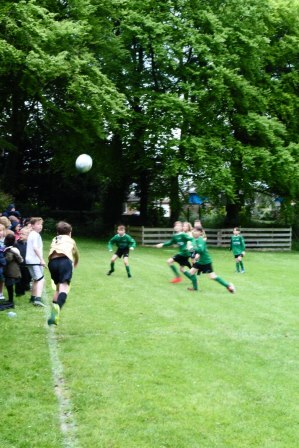 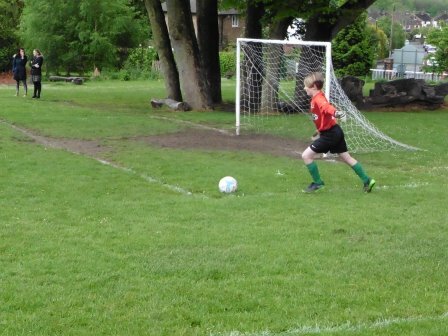 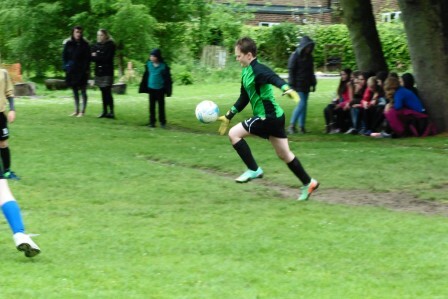 With only a few minutes remaining, Green Oak were unable to find the equaliser but kept battling until the final whistle blew.